Sipping a coffee goes well while reading a good book. A FREE Starbucks Frappuccino definitely make your day extra EXCELLENT! 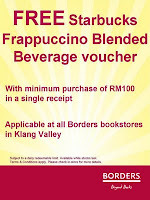 Get a FREE Starbucks Frappuccino from 15th – 17th July 2011 (yes, it starts from today!) 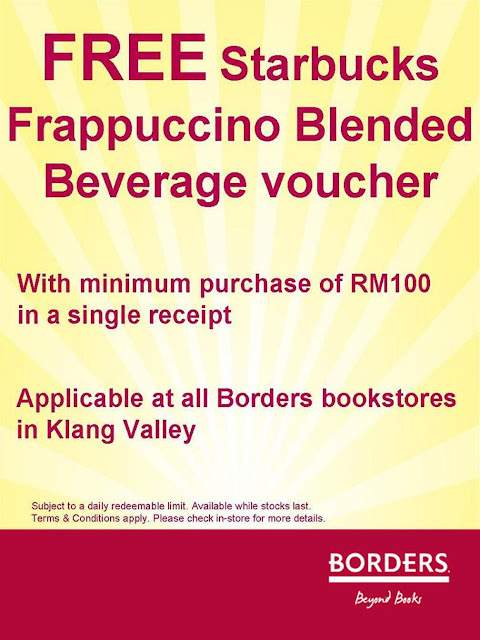 when you spend at least RM100 in a single receipt at any Borders in Klang Valley.